Did you know: properties that are near MRT stations on average are valued at least 10 – 15 percent more than those which are further away? 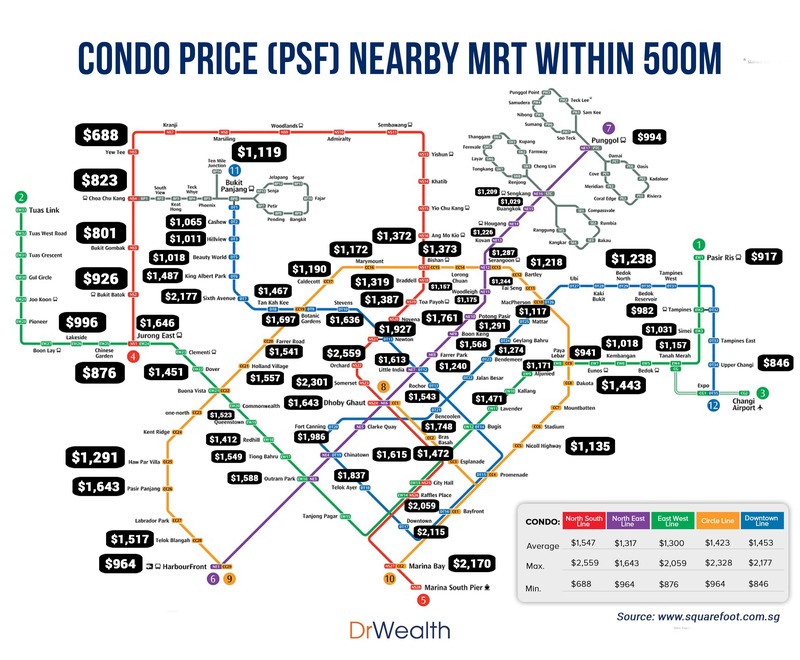 In this post, we have complied the prices (HDB & Condo) and plotted them in MRT maps below. So whether you are young working adult saving to get a flat or retiring investor seeking for attractive property investment -- we hope you will find these maps useful. 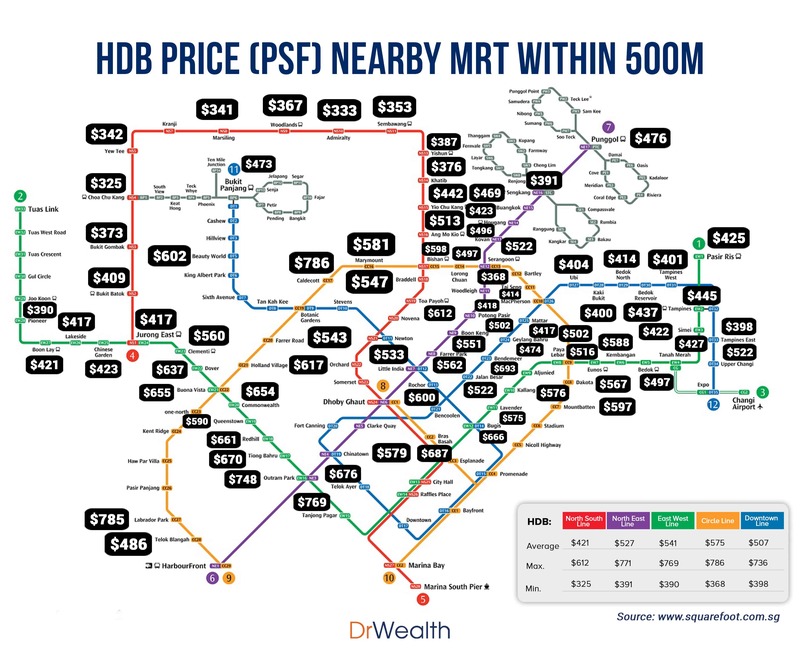 The data was gathered from Square Foot Research Singapore and the figures were based on last 6-month average price transactions nearby MRT stations within 500 meter. 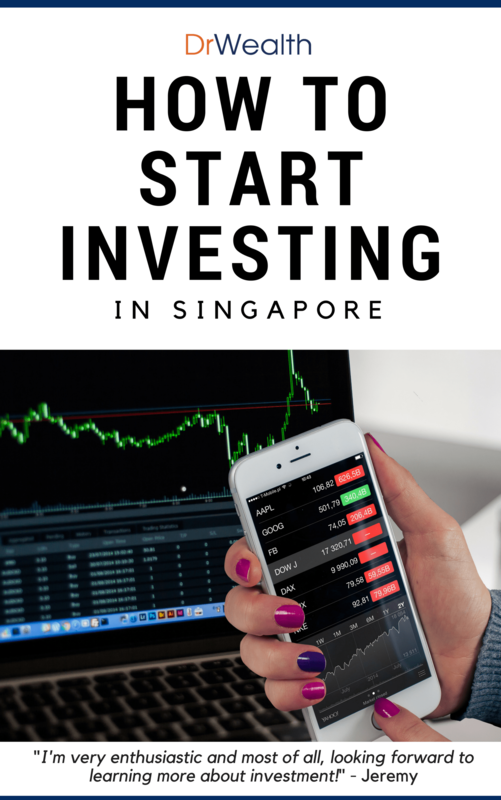 New Bonus PDF: Download FREE "How to Start Investing in Singapore" Guide, includes all the resources you need to start investing successfully! Properties that are located at the end of the map except south such as Woodland (North), Boon Lay ( West) and Tampines (East) tend to be cheaper than the ones located in central. For the same reason, Circle line tends to have more expensive properties on average compared to other lines as the properties are closest to major commercial areas. The price difference between central and non-central can be as huge as 2.5x. Disclaimer: The prices shown below are average prices based on transactions recorded in the last 6 months. 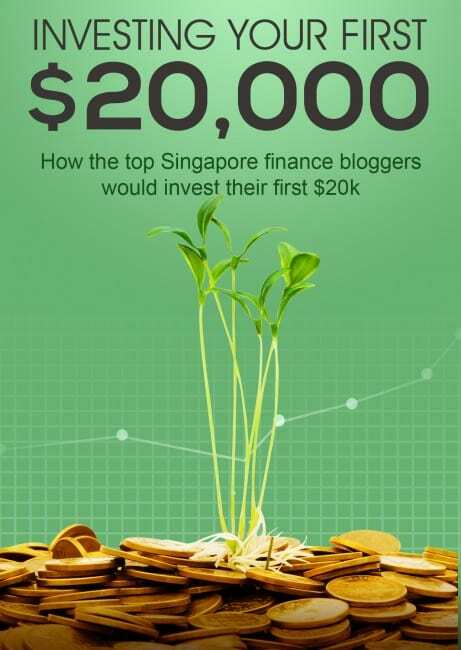 They only serve to give you an idea of how the property prices in Singapore are doing. We try our best to find the most accurate data source. However, as data is taken from an external source, Dr Wealth is not able to guarantee the accuracy of the data. Dr Wealth is not responsible for your investments. None of the images or data provided here should be taken as financial advise or used to make any purchase/sales decisions.